A right whale is shown in a a Center for Coastal Studies handout photo. East Coast fishermen were scrambling to move their traps this weekend after the Department of Fisheries and Oceans (DFO) announced plans to temporarily close a section of the Gulf of St. Lawrence on Tuesday, to protect two endangered right whales spotted swimming in the waters during aircraft surveillance. The decision is the latest attempt to avoid a repeat of last year, when 12 whales died in Canadian waters, either from being struck by boats or tangled in fishing ropes that stretch from the surface to the traps below. The department has already permanently closed a section of the gulf where whale populations are known to congregate, but that is lucrative for snow crab fishermen. This has raised concerns that if temporary closings also expand, fishermen may not be able to fill their quotas, or will be forced to cluster in certain areas and risk overfishing, said Carl Allen, the president of the Maritime Fishermen’s Union. “It’s been tough,” he said, speaking on Monday from his home in Cap-Pele, N.B. “Today, anybody [with traps in the newly closed area is] scrambling to get out there and get their gear on their boat. Hopefully they can find a place where the crab hasn’t already been picked over.” The closing was announced on Sunday, giving fishermen 48 hours notice to remove traps from the areas or face possible fines. The area, which is east of the Miscou Island and just north of the area where fishing is already prohibited, will be closed for at least 15 days, longer if the whales remain, according to a department statement. While the closings apply to all fisheries, they have currently taken the heaviest toll on snow crab fishermen, who are now racing, Mr. Allen said, to get the industry’s total haul – valued, he said, at more than $250-million for the fishermen alone – before their season ends on June 30. But other industries, such as lobster, could also be affected, particularly if the whales move closer to shore. The economic effect of closings will depend on the number and location of the whales spotted over the fishing season. 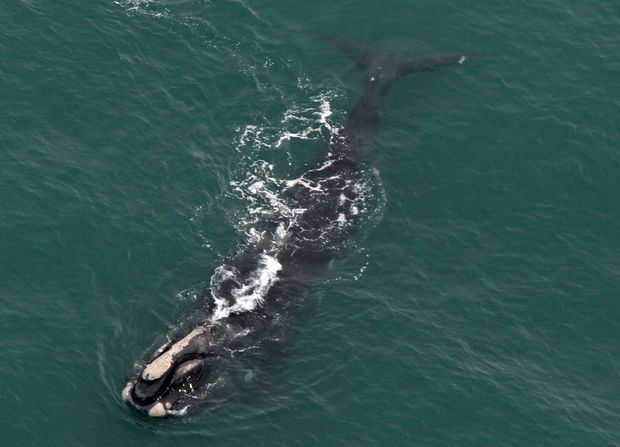 Scott Kraus, the senior science adviser for the Anderson Cabot Centre for Ocean Life in New England, applauded DFO’s decision to pro-actively close the larger section even before a whale had even been spotted. But he said it remains to be seen how well the temporary closings work, both given the time it takes to remove traps after whales have been spotted and the havoc it causes for fishermen. Other remedies proposed by both scientists and fishermen involve changing how traps are set, including using lines that would break more easily when struck by a whale. A pilot project, for instance, is testing whether an acoustic modem could be used to release airbags that would lift traps to the surface, technology that’s been used by oceanographers for decades, Dr. Kraus said. But even solutions create problems – combining traps may reduce the ropes in the water, for instance, but can cause more damage to whales who collide with a heavier line.